Lorna Sage grew up in the '40s and '50s on the border between Wales and England and in the crossfire between her difficult grandparents. Despite a teenage pregnancy, she won a scholarship to university and became a noted academic and literary critic. Bad Blood, her autobiography, was published in 2000. 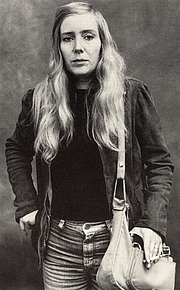 Lorna Sage is currently considered a "single author." If one or more works are by a distinct, homonymous authors, go ahead and split the author. Lorna Sage is composed of 1 name.